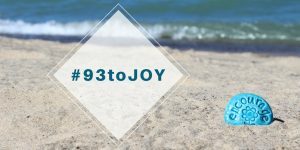 Touching makes a difference in marriage – Get back in touch with your spouse! We can get out of the habit of touching. Maybe you have small children who fill your arms all day (and night)? Don’t forget your spouse! 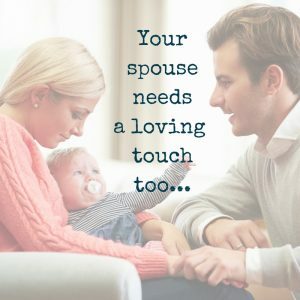 Your husband or wife still needs your loving touch no matter how long you’ve been married. Sight is found in one body part – the eyes. And hearing, taste, and smell are each attached to a specific part of the body. But the ability to feel – our sense of touch – is found on every square inch of a healthy body. A study done in 2011 at John Hopkins University showed how specialized neurons in the skin feel different movements and vibrations. It’s complex. “Touch is not yes or no; it’s very rich…”. Surprised? No, I didn’t think so. You know how rich the sense of touch is. You’ve run your fingers through your spouse’s hair or tickled her/him or traced eyebrows with a gentle finger. You’ve wrapped your arms around your spouse and hugged till they squeaked. Touching has many hues – just like color. Every nerve ending in our skin has the ability to feel. In another study in 2006, the participants were able to decode emotions from a single touch on the forearm, all while blindfolded. They were able to detect anger, fear, love, gratitude and sympathy from a simple touch. Make it into a game. Take 10 coins and put them in one pocket. Each time you touch your spouse, transfer one coin to the other pocket till the first is empty and this way you’ll be sure you’ve touched your spouse at least ten times that day! Physical touch is not my love language, but it is my husbands. I strive to express love to him in this way. It doesn’t take much…… a held hand, and tender kiss, sitting close. Makes him feel loved. Great thoughts! Oh, I understand the need to make your hubby feel loved with a love language that’s not your own! Rob’s love language is quality time, and he appreciates when I listen and interact in conversation – that’s how he feels loved. Though we focus on our own, specific love language, we try to use all the love languages, especially when we’re going through a tough season. It helps. Thanks for sharing this important research that clearly indicates the need for touch–especially between a husband and wife! And it’s so true that our children can take the place of that touch–especially when they are little and so sweet to cuddle! 😉 I also love the idea of the ten coins. What a great challenge, Lori! I’ll have to try that with my guy! Peter and I are always hugging, or holding hands especially in public. I want people to see love doesn’t fade after you get married it grows. That’s such an important thing to do, Mihaela – to be a real-life example of how love looks, no matter how many years you’ve been married! Wonderful! Touching is so important and so easy to take for granted in our day-to-day rush. My husband is so affectionate and sometimes I have to remind myself that He needs hugs more than I do. Great post! Thank you for sharing on Salt & Light Linkup today! Thanks for the linkup, Natalie and for stopping in to comment! It IS interesting that our spouse’s way of loving (touch, time, gifts, acts of service, or words) might not be our way of loving… but you’re so right… we need to remind ourselves that their way of expressing love needs to be reciprocated! My husband has been in the hospital for the past 2+ weeks and I’ve been very fortunate to be able to be with him the whole time. He has a rare condition called Tracheal Stenosis where his airway was closing off. He was in ICU for 10 days of our visit and due to various complications hasn’t been able to speak for most of the time. Touch has played a huge part in helping both of us through. When more wasn’t possible, simply holding his hands was healing for both of us. Once he was able to stand on his own and we were able to hug and dance a little, tears streamed down my face. You can never underestimate the healing power of a hug! Touch has always been one of our strongest love languages and can help through some of the most difficult situations! Oh, my! What a hard time you’ve both had, Michelle. Your story and point that “… you can never underestimate the healing power of a hug!” is powerful. Thank you so much for sharing. It’s wonderful that he’s improving.